Congratulations to Kathryn McBride on her Queen's Guide Award. Congratulations to Kathryn McBride who received her Queen’s Guide Award at the House of Commons in London on 13th April this year. Kathryn was presented with her award by the Chief Guide, Gill Slocombe, and then made the most of her day in London by enjoying a tour around Westminster and seeing a show at the West End. Kathryn has also achieved her Gold D of E award through guiding. 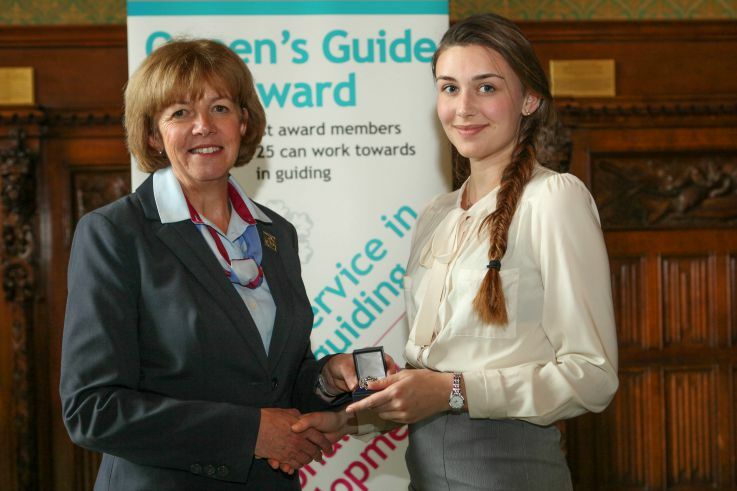 The Queen’s Guide Award is the highest award you can work towards in Girlguiding. For more information on the award, see this link.